We will be celebrating 50th years of Dr Who in 2013 with a special display....the list goes on. 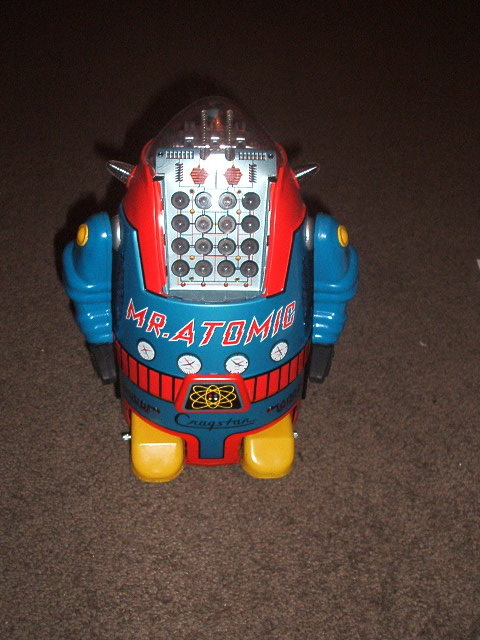 Our latest edition to the robot family, a 1950's Mr Atomic, one of the most famous robots ever produced. It has a bump and go action, his feet go up and down and has a rotating light in the centre that changes colour. After we finishe paying this baby off we will try and get a further 20 robots to bring the total up to 100 robots for the exhibition.